Safe Quiet Lakes (SQL) has launched its annual public safety campaign in partnership with the Ontario Provincial Police (OPP). This year the campaign is focusing on educating boaters about respectful boating practices and the dangers of excessive speed and wakes. Excessive speeds and wakes are dangerous and are also the most frequently reported cause of environmental and property damage. ‘Slow down – bow down’ is the key message of the SQL and OPP’s summer-long campaign to educate and enforce the existing nine kilometres per hour speed limit when less than 30 metres from shore. 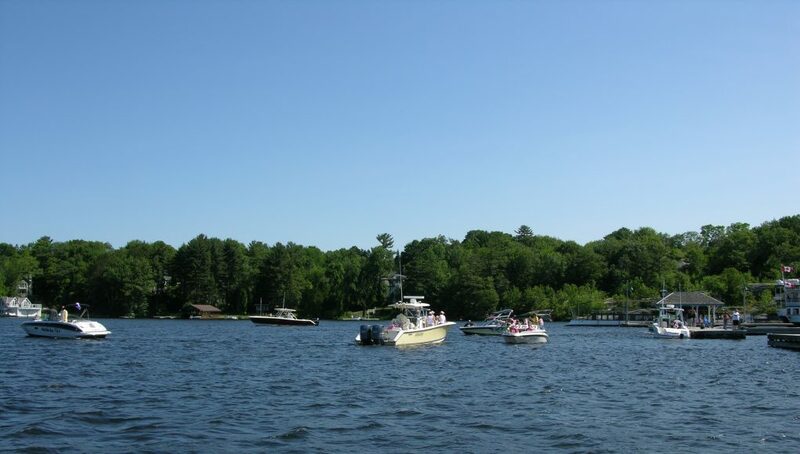 The OPP and Safe Quiet Lakes representatives will be working with lake / resident associations throughout the summer to promote boating practices that reduce speed close to shore and eliminate excessive wakes and the safety hazards they create. The principal focus of SQL is to encourage and maintain a culture of respect on the lakes. Last year the most extensive survey of residents ever conducted by ERIN Research on behalf of the SQL showed that the top three concerns that residents have are related to excessive wakes, excessive speed – especially close to shore and excessive noise – especially personal watercraft. The Safe Quiet Lakes campaign continues to grow each year through a growing number of partnerships with lake / resident associations, local business and marina operators. What started as a grassroots community meeting with 10 people in 2012 has grown to more than 70 stakeholders representing numerous lake / resident associations and local businesses. The goal is to provide these partners with the educational resources they need to help extend the reach of the public awareness campaign to every corner of the Muskoka Lakes region. The extended SQL safety campaign will focus on working with partners to educate boaters to be aware of safe and respectful boating behaviour, required safety equipment, and the law that powerboats in Muskoka must have mufflers operating all the time the engine is on. The OPP also want to hear from residents who witness dangerous and illegal activities by calling 911 if it’s an emergency. The OPP is also asking residents to call its non-emergency line 1-888-310-1122 to report activities that include recurrences of excessive noise that involve operating without a prescribed muffler and speed so that resources can be allocated to tackle the problem. People calling 911 or the toll-free line should gather as much information as possible by taking detailed notes or video. Useful information includes boat registration number, colour, make, model, time, frequency and location of the incident and a description of the operator. The Safe Quiet Lakes campaign runs from the Victoria Day long weekend through to Labour Day. The campaign continues to remind lake users that “Boaters Always Care”. During the campaign volunteers from Safe Quiet Lakes and officers from the OPP Marine Unit will be working with boat operators to educate them on ways to operate their vessels safely, quietly and respectfully.